What a hoot and a buzz. The coffee’s here and so are the buns. We’ve a glorious view of Hampshire on a cold and frosty morning. Well it is winter, isn’t it? It’s supposed to be cold in November. It’s not cold in here though. We’re amongst friends. It’s good to welcome some new ones. This offers an ideal opportunity for members who have not yet connected with their local network. It’s also good for regular members to have another opportunity to hook up. Some interesting questions are asked. · How exactly do you do an effective critique? · What will I gain from membership of a Network group? · Does it matter if I can’t get to every meeting? · It’s the master classes for me. They’re so good. · I just love having the support of other writers. You know, just having someone to talk to about all of those rejections and when I get stuck. · It’s often a chance to be sociable. I’m so often on my own with my writing. · The south-east is huge – so managing this is quite a challenge for the co-ordinator. · London has plenty of opportunities. It’s easier for members to get to other writerly events. too. · Wales is beginning to form. · Can the north-east and the north-west join forces for some bigger events? · The others are just busy, busy busy and buzzy, buzzy buzzy. It’s all about networking. Have you joined yours yet? 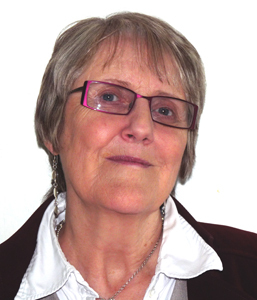 Gill James is a member of the North-West network. Recently, as a result of networking activity, she received a critique from the Skylark agency. This enabled her to make a great improvement to her work in progress.